Great place to stay with our family. Conveniently located by tram and easy to get to. Quiet and relaxing. Great location. Private parking place. Very central. Location (near the sea), friendly staff, bar downstairs, parking reservation. First and more importantly i would like to show my deep appreciation to Mr. Thor for his help and kindness. He has highly manners and altitude, always work with you with no cost to improve your stay. Second, the location is just middle of everything and everywhere. You can reach the tram station by walking for 50meters. You can park near your location. You can reach the beach in 2min walk and you can reach the busy street where all the grocery shops and supermarkets are located in less than 5min walk. Neighbors are very friendly and just in front you will see a children play ground which has zipper, football field, skateboard pool, ...etc. definitely will come back again. Everything perfect, from the welcome to departure, as always. This was the fourth time I have had the pleasure of staying at Alta Mar whilst travelling on business and I hope to return again soon. Very close to the beach, the apartment is well furnished and I especially appreciate the adjustable heating and comfortable bed and pillows after long days of meetings. The wireless connection is good and the fabulous dinner at Tasca is always the highlight of my stay. Highly recommended for business travellers who are tired of the impersonal nature of hotels! Lock in a great price for Alta Mar Studios – rated 9.1 by recent guests! Alta Mar Studios is located in Scheveningen. Free WiFi is provided. 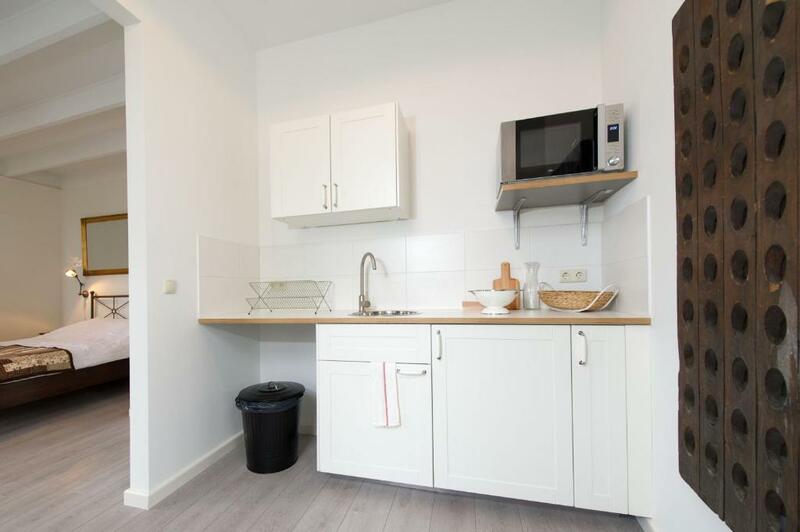 Each unit features an oven, microwave, a coffee machine, as well as a toaster and electric tea pot. There's a fully equipped private bathroom with shower and a hair dryer. Guests can enjoy a meal at the on-site restaurant, which serves a variety of Portuguese, French and International dishes and also offers vegan, vegetarian and dairy-free options. Museum Beelden aan Zee is a 6-minute walk from Alta Mar Studios. 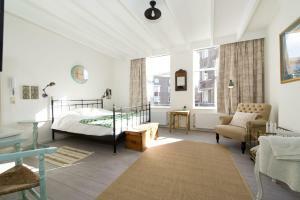 The nearest airport is Rotterdam The Hague Airport, 18 miles from the accommodation. 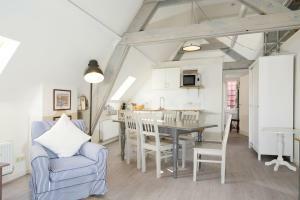 When would you like to stay at Alta Mar Studios? 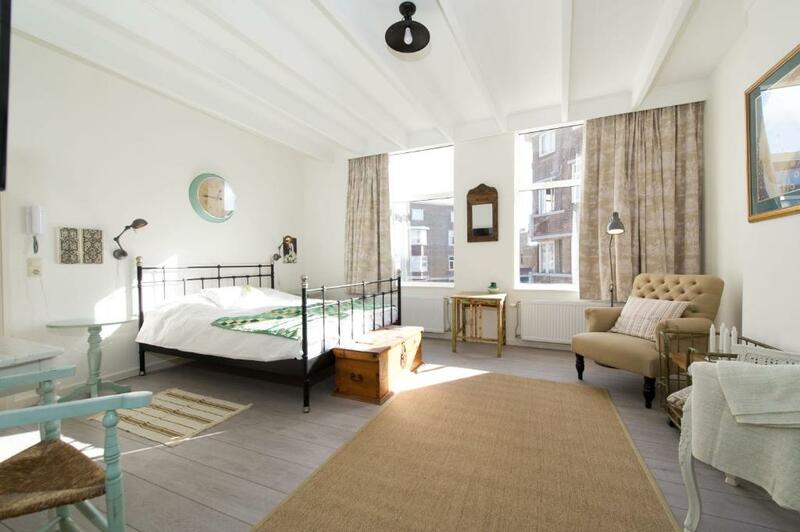 This apartment features 2 bedrooms, a spacious seating and dining area and a kitchenette. 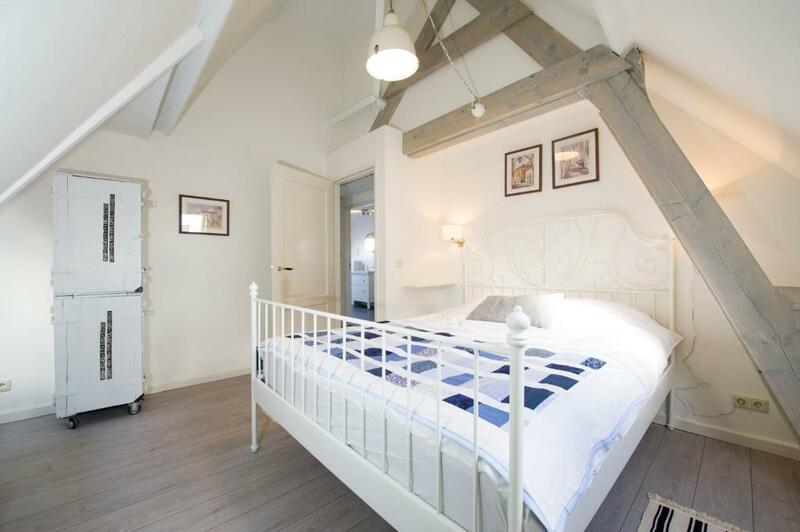 A third bed can be found on the mezzanine. Private parking is available on site (reservation is needed) and costs EUR 13.50 per day. 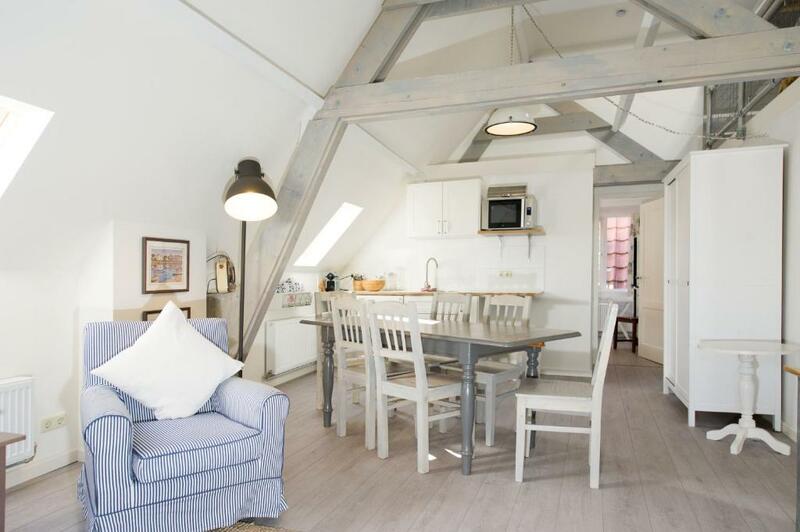 This studio has a electric kettle, oven and kitchenette. 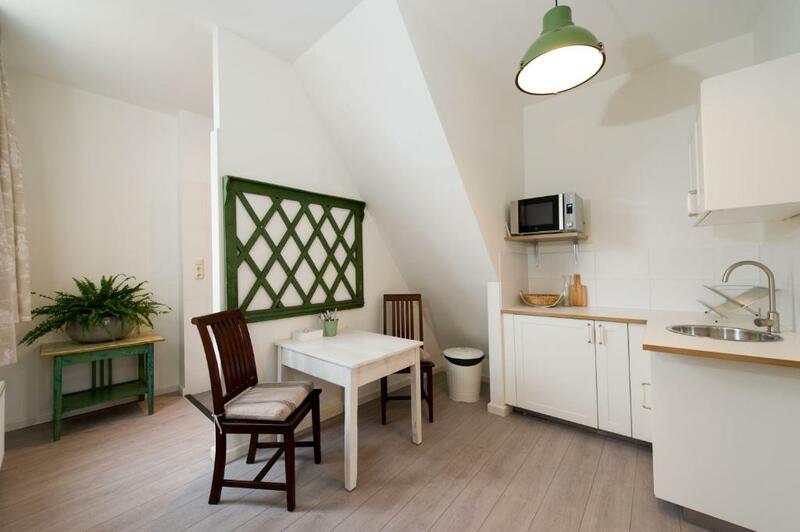 This studio features a private entrance, electric kettle and oven. House Rules Alta Mar Studios takes special requests – add in the next step! Please inform Alta Mar Studios of your expected arrival time in advance. You can use the Special Requests box when booking, or contact the property directly using the contact details in your confirmation. 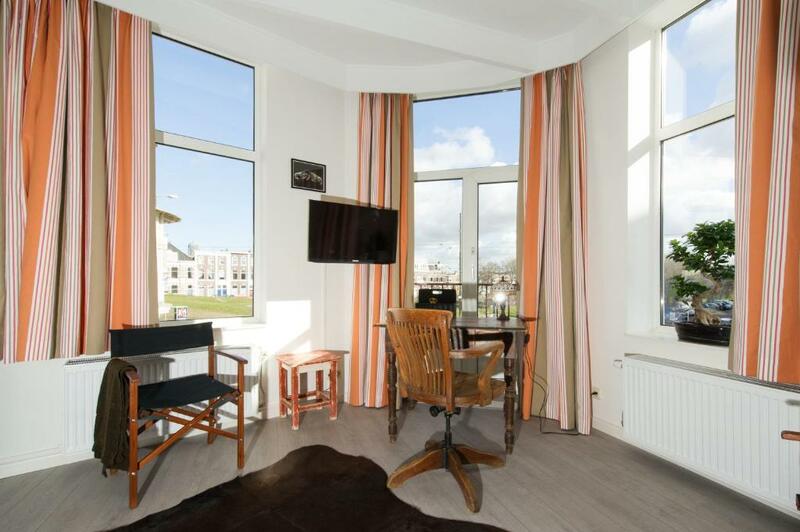 Apartment was facing the Jurrian Kokstraat, and you can hear the street traffic and the tramway driving. Came in to Den Haag from Amsterdam Schiphol airport by train. Could not find a taxi at Den Haag Centraal train station, so I called host for help. And he provided a rapid and great assistance! Many thanks again. Told me the bus line (22), and the bust station to exit (Badhuiskade) by text message to show it to the bus driver. Then me standing at the bus station Badhuiskade, I asked where to go now. Host replied after some seconds: Can you see me waving? You can't do better. Checkin was next door in Tasca restaurant. Apartment is on 1st floor, and the only way up is a narrow steep stair. As I have had luggage, the host immediately offered his assistance. Apartment is one big room with some walls between combined sleeping/living room and kitchen and shower, but no doors, except for the toilet. It is a huge shower with a tiny washbasin. I had to do some business with my laptop, but the available chair was not convenient to me to sit a longer time. Next grocery is Albert Heijn in Keizerstraat 342, which is 500 m away. The only thing I would change is to add a handle on the terrace door to open it from the outside. The kitchen ware may have been completed and more trash cans in rooms instead of only 2. Internet must be improved. The stairs are very narrow and not good of you have many and heavy luggage. Very spacious studio with great facilities! Very spacious and comfortable accommodation. Close to the beach and town centre. Lovely restaurant downstairs. We look forwards to returning in the summer. The apartment was large and not stuffed with unnecessary items. The kitchen was well-equipped. The shower was nice. The location was convenient. Hosts were friendly. Parking is close.